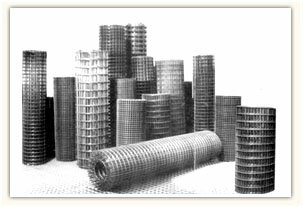 Mesh is formed by either interlocking woven wire mesh or the fusion welding of crossed strands to produce a given aperture. Fusion welding the mesh gives what is known as `welded mesh` and this has an increased rigidity making it ideal for large screening & safety applications. Bespoke panels can also be made to suit any application.